Heavily influenced by contemporary developments in microbiome research, Emilie’s project investigates changing ideas about gastrointestinal health throughout the nineteenth century. She is particularly interested in the connections being drawn between digestive health and emotional wellbeing, and how these connections were negotiated in the literary imagination. The centrality of digestive health to the mind-body system in the nineteenth century positioned it as an imaginative framework within which gendered and classed constructions of selfhood were elaborated. As germ theory gained a foothold in the cultural consciousness, our understandings of mankind’s relationships with the microbial world were markedly altered. With new studies weekly demonstrating the importance of our gastrointestinal flora and fauna to our somatic, immune, and psychiatric health, Emilie seeks to resituate digestive health in the multiplex context of the Pre-Pasteurian epoch. How might nineteenth century perspectives on diet, digestion and bodily identity modify our understanding of what it means to be healthy in the twenty-first? Sarah is interested in late nineteenth-century ways of thinking about sexual health and disease, particularly as these influenced literature and literary culture. Her work asks how far ideas about sexual wellbeing impact upon wider ethical thinking, and what especially characterized this relationship in this period. Sarah’s current book project looks at representations in late nineteenth-century Decadent literature of sexual continence or abstinence as an appropriate, healthful and productive part of an aesthetic life, and how these intersect with expressions of anxiety about the conditions of modernity, and the place of the artist and aesthete in modern societies. It focuses on the work of Walter Pater, Lionel Johnson, Vernon Lee, and George Moore, and reads this alongside a wide range of Victorian writings about sexual health, from medical journals and self-help pamphlets to feminist and social purity publications. Jean-Michel’s research focuses on the development of the electric telegraph in nineteenth-century Europe and explores the impact of the technology upon perceptions of time and space. His work seeks to illuminate how the acceleration of communication was experienced by contemporaries, how it fostered new hopes and anxieties, and shaped particular understandings of Western modernity. His current project centres on Germany but necessarily takes on a pan-European dimension, drawing connections with developments in neighbouring France and Italy. Using a variety of archival sources, scientific publications, and the literature of the period, it investigates the ways in which the speed of telegraphy transformed social, political and business practices, the benefits which were expected from growing networks of communication, and the fears associated with the rapid pace and over-stimulation of modern life. Hosanna’s work for the Diseases of Modern Life project examines the Victorian convalescence movement, a grassroots initiative that offered holistic caregiving to patients recently discharged from hospitals. Convalescent care focused on alleviating patients’ subjective experiences of suffering, including their feelings of overwork, financial distress, and interpersonal strife in the weeks following acute illness. Such holistic care was not viewed as an alternative to scientific medicine, but rather as a necessary supplement to new physiological understandings of disease. Hosanna’s archival research seeks to document both the spread of the convalescence movement in the nineteenth century and its cultivation of unique ways of narrating the body. Particularly, convalescent activists distrusted the utility of medical prognosis, choosing instead to evaluate the complex environment of a patient’s care without forecasting its potential outcomes. Ultimately, Hosanna plans to use such interpretive priorities to reconsider the portrayal of illnesses in Victorian novels. Alison Moulds is a part-time Postdoctoral Research Assistant on Diseases of Modern Life. Her research looks at how the medical profession responded to new domestic technologies (e.g. the telephone and motor car) in rural general practice. Alongside this, she is also interested in the profession’s representation of working conditions in the retail industry. She recently completed her DPhil English Literature at St Anne’s College, University of Oxford. Her thesis was entitled ‘Constructing professional identities in medical writing and fiction, c. 1830s-1910s’. She has also worked as a part-time Postdoctoral Research Assistant on the AHRC-funded project Constructing Scientific Communities. In addition to her role on Diseases, Alison is Engagement Fellow on Surgery & Emotion, a Wellcome Trust-funded project based at the University of Roehampton and Communications Officer for the British Society for the History of Science. She has an MA in Victorian Studies from Birkbeck, University of London, which she completed while working full time in health policy and public affairs. She has a BA in English Literature from Durham University. Dr. Catherine Charlwood is a Research Assistant with the Diseases of Modern Life team. Her current book project concerns memory in the poetry of Thomas Hardy and Robert Frost, and she has previously published on morality and mourning in Hardy’s verse, nationalism and amnesia in Ishiguro’s novels, and methodology in literature and science scholarship. Her research within the Diseases project concerns physical pain, particularly the ways in which pain intersects with ideas of class and profession. As interest in occupational health grew during the nineteenth century, theories of (and vocabulary surrounding) work-related pains, or ‘craft palsies’ proliferated. This research considers how developments in what would now be termed pain medicine are borne out in literary depictions of physical pain, as well as what can be gleaned from the Victorians for current ideas about Repetitive Strain Injury (RSI) in the workplace. A former schoolteacher, Catherine is passionate about having students not only engage with but actively enjoy nineteenth century literature and culture. Hannah Wills is a Research Assistant on the Diseases of Modern Life project. She is interested in the use of manuscript diaries and daily planners as paper tools for managing information. Her PhD thesis, completed at University College London and the Royal Society, examines the diary of physician and secretary to the Royal Society, Charles Blagden (1748-1820), and explores the diary as a sociomaterial object connected to Blagden’s career ambitions. Her research with the Diseases of Modern Life project will examine nineteenth-century pre-printed diaries, almanacs, and planners, such as Letts’s Diary, or Bills Due Book, as practical tools that helped individuals navigate information overload in their day to day lives. Exploring such manuscripts as aids to memory and personal development, this research will reveal how diaries and planners were marketed and used as paper tools to reflect on the past, present, and future. Daniel Ibrahim Abdalla is currently working on his DPhil at the Faculty of English, University of Oxford. The thesis considers the importance of evolutionary biology in the work of three American expatriates of the fin de siècle: Henry James, Elizabeth Robins, and Edith Wharton. Specifically, the thesis considers the way that tropes of the period–like decadence, women’s rights, and sexuality–are related to contemporary scientific developments. He is especially interested in the way developments in the theatre and the novel influence each other in this period. Daniel’s interest in literature–and literature and science–informs various related projects. He was asked to contribute a preface for Hurst Street Press’s series ANON, which celebrates the work of undervalued women writers. He has presented on the relationship between queer theory and literature and science at the AHRC-funded one-day workshop ‘Humanitarian Fictions’ (King’s College London, 2018) and at the Oxford Queer Studies Network (2018). And he has taught undergraduates and supervised their dissertations on all sorts of topics related to the above topics. Amelia is working on a monograph which examines medical conditions associated with clerical work in Victorian Britain and colonial South Asia, focusing particularly on ergonomic hazards and musculoskeletal disorders, but not ignoring other physical and mental conditions such as respiratory diseases (tuberculosis, asthma), cardiovascular diseases, eye problems as well as diseases caused by stress and overwork. Her main concerns are to map the range of physical and mental illnesses associated with the office work environment and to understand how they intersected with the emerging field of occupational medicine. Some of the questions she will be addressing are: How did clerical work change during the nineteenth century? How did the introduction of new technologies (of writing, communication, transport) change work and generated new risks and fears of disease? How did occupational sedentarism come to be regarded as a medical risk? How did office design evolve during the nineteenth century? How was medical knowledge about musculoskeletal disorders produced during this period? 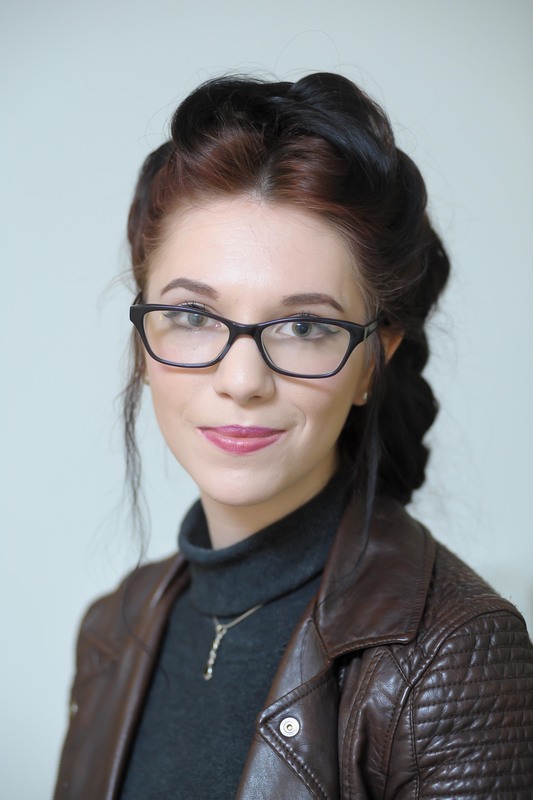 Melissa joined the Department of English Literature at the University of Birmingham as a Lecturer in Victorian Literature in January 2018, having worked for nearly 4 years as a Postdoctoral Researcher on the ‘Diseases of Modern Life’ project at St Anne’s. She has a PhD in English from King’s College, London, and an MPhil, BA, and University Medal from the University of Queensland, Australia. Melissa’s first monograph, entitled The Arabian Nights and Nineteenth-Century British Culture, is forthcoming with Edinburgh University Press in August 2019. She is currently completing her second monograph, which draws on her research as part of the team at Oxford, and explores new ways of listening, and new understandings of the body’s physiological and psychological responses to sound and music in the nineteenth century. Dr Jennifer Wallis is Lecturer in Cultural and Intellectual History at Queen Mary University of London. Her research for Diseases of Modern Life focuses on the ‘Addiction’ and ‘Climate and Health’ strands of the project – specifically women’s drinking and relationships between people and ‘air technologies’ in the nineteenth century. She has produced work for the project on women’s inebriate homes in late-Victorian London, ‘secret drinking’ amongst middle-class women, the use of the ‘compressed air bath’ in nineteenth-century health resorts, and the Victorian seaside as a site of infection. She is currently completing a piece on the use and representation of the respirator in the late nineteenth century, and planning a new project on the history of resuscitation.